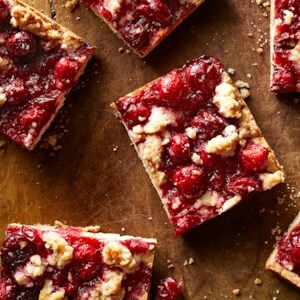 Find healthy, delicious Thanksgiving cookie recipes, from the food and nutrition experts at EatingWell. 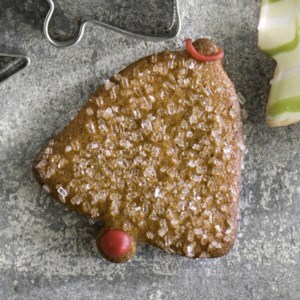 This healthy gingerbread cut-out cookie recipe has all the flavor of traditional gingerbread cookies but incorporates white whole-wheat flour and uses less butter. 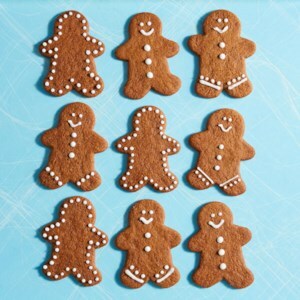 Pull out all your cookie cutters and decorate these adorable cookies with natural decorating sugar and icing. 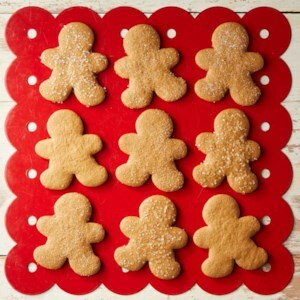 This healthy gingerbread cookie recipe incorporates white whole-wheat flour and uses less butter than traditional gingerbread cookies. 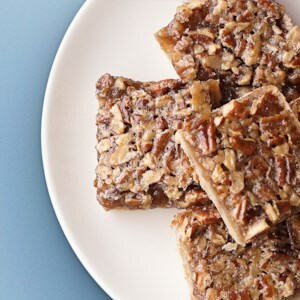 These thin, sugar-kissed cookies are then topped with a pecan for a Southern-inspired treat. 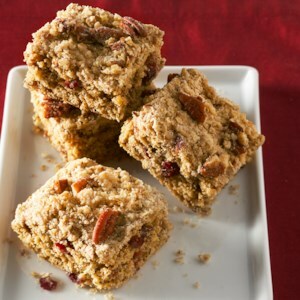 If you don't like pecans, try other nuts, such as macadamia nuts, walnuts or hazelnuts. 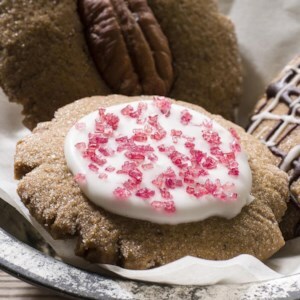 This healthy gingerbread cookie recipe incorporates white whole-wheat flour and uses less butter than traditional gingerbread cookies. 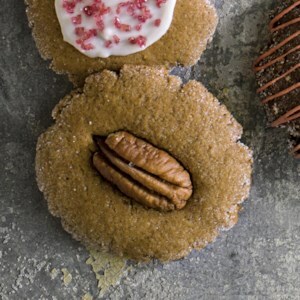 These thin, sugar-kissed cookies are then topped with white icing and natural red decorating sugar to make a beautiful treat. 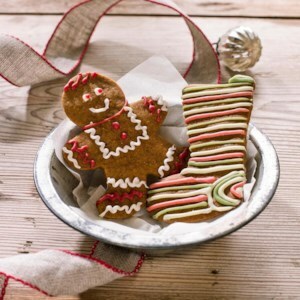 This healthy gingerbread cookie recipe incorporates white whole-wheat flour and uses less butter than traditional gingerbread cookies. 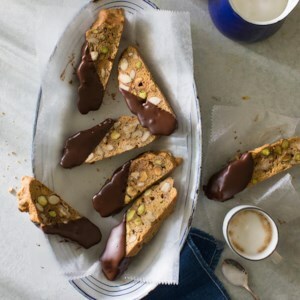 These thin, sugar-kissed cookies are then drizzled with white and chocolate icing in a crisscross pattern for a beautiful presentation. 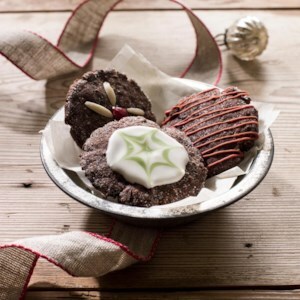 This healthy chocolate cookie recipe makes thin, sugar-kissed cookies speckled with dried fruit and nuts and topped with white icing. For a fun pattern, we drizzled green icing on top of the white icing and used a toothpick, to create a star-like design. 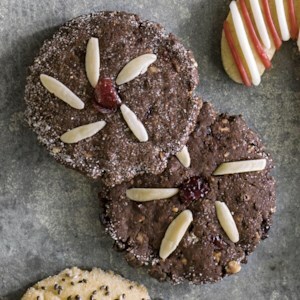 This healthy chocolate cookie recipe makes thin, sugar-kissed cookies speckled with dried fruit and nuts and topped with slivered almonds and dried cranberries arranged in a flower pattern. 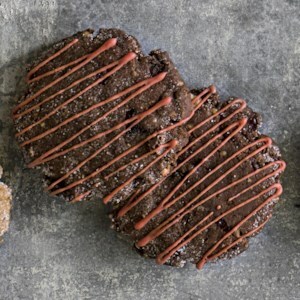 These thin chocolate cookies are perfect for accompanying tea or coffee. 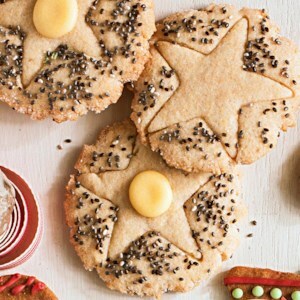 This healthy sugar cookie recipe makes delicate, thin cookies by using the bottom of a glass to press the dough into cute wafers. 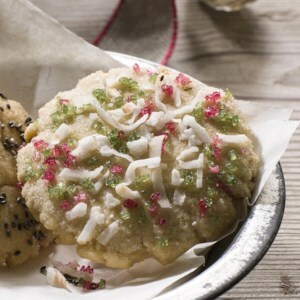 To give the cookies a festive look, top them with naturally dyed red and green decorating sugar and flakes of unsweetened coconut before baking. 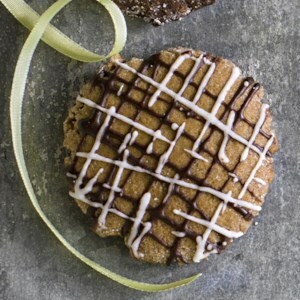 This healthy sugar cookie recipe makes delicate, thin cookies by using the bottom of a glass to press the dough into cute wafers, which are then pressed with a small cookie cutter to make an etched design. 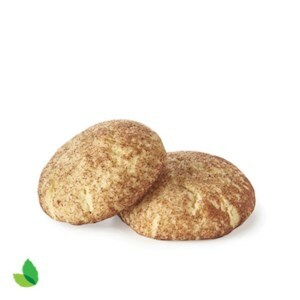 The cookie thins are sprinkled with fiber- and omega-3-rich chia seeds, which add a little health boost. 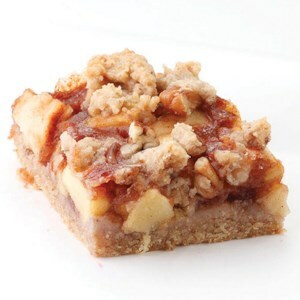 Make them look extra special by adding a bit of naturally dyed orange icing. 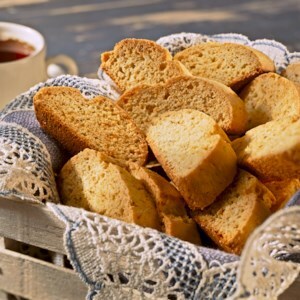 This healthy sugar cookie recipe makes delicate, thin cookies that are a great accompaniment to coffee or tea. 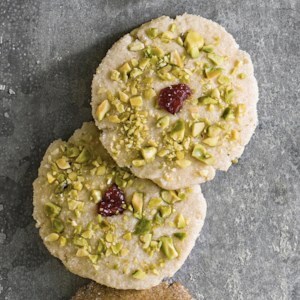 You press the dough into cute wafers using the bottom of a glass and can sprinkle the cookie thins with dried cranberries and pistachios, as in this recipe, or use your favorite dried fruit and nut combination as decoration.